for our clients to reach new and existing customers online. By understanding the power of connecting with customers in real time, successful Programmatic Display advertising can drive performance by reaching the right customer, with the right message, at the right time. Display is at the forefront of digital advertising and a crucial part of a marketing campaign. A well crafted display strategy can grow brand awareness, recapture valuable customers, maintain relationships and increase your bottom line. Display campaigns allow brands to attain local, national and global reach. With millions of impressions being served every day, the opportunity for connecting to consumers is unlimited. Retargeting is a powerful tool allowing brands to focus ads on users who are more likely to convert. Retargeting reminds the user about your products when they are on other sites, allowing you to reconnect with former customers, recapture abandoned cart purchases, upsell, and complete the sales cycle. Reach the right people, at the right place and at the right time. Eliminate wasted ad spend by serving relevant messages to qualified users. Display advertising allows organisations to tailor their campaigns at a granular level. Metrics can be easily measured and tracked, enabling brands to make adjustments in real-time to curtail waste and boost campaign performance. 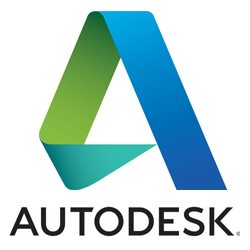 Autodesk, a multinational 3D design software corporation, wanted to increase website traffic and sales by combining display advertising with their current PPC campaign. Our objective was to drive online global growth through an increase in traffic and sales. The results: from January 2014 – August 2014; Search remarketing campaigns increased by 400%, increase in overall traffic of 141% from Display campaigns, 300% uplift in sales. Enabling advertisers to deliver ads to relevant users with granular data to make intelligent and quick decisions. Mobile advertising is experiencing a meteoric growth in online advertising, and display is leading the way. Behavioural retargeting creates a more personalised approach over traditional retargeting methods. Find out how we can maximise display for you?